A good news for die hard Telivision Fans and 15 million DishTv subscriber is that now you can enjoy streaming of your favorite TV programs while on the move! This will be made possible with the launch of DishOnline, an online application with support for full fledged over the top (OTT) video streaming. DishOnline subscribers can enjoy TV in four forms Live TV, Movies, TV shows and Videos. The movie library contains more than thousand movies. This streaming will be powered by Ditto TV Streaming portal. There will be two DishOnline packs you can choose from. The Jumbo pack will cost you Rs. 129 and will all of the four forms of TV. The Starter pack at Rs. 49 will not contain Live TV. As an introductory offer, the same will be available at Rs. 69 and Rs. 29 respectively. This App is first of its kind provided by any DTH service provider and will be available for Android and iOS users. 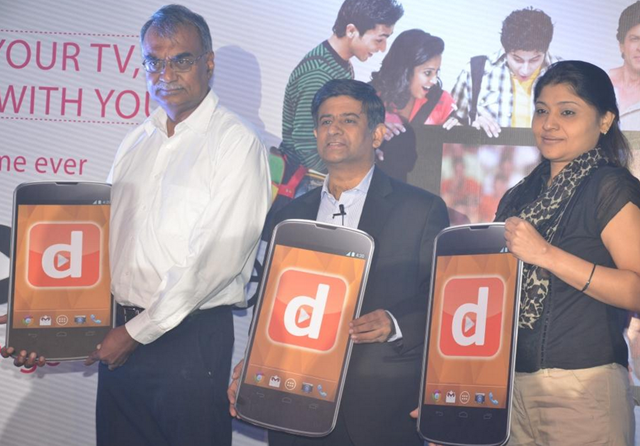 DishOnline aims to extend its userbase to 5 lakh subscribers in first 6 months. We can expect other service providers to launch similar Apps soon.